There are only a handful of science-fiction movies that actually show what moving about inside a spaceship would really be like. In most flicks, they use a type of "artificial gravity" that is never fully explained. Now, a new paper accepted for publication in Physical Review D might turn that science-fiction idea into a reality. 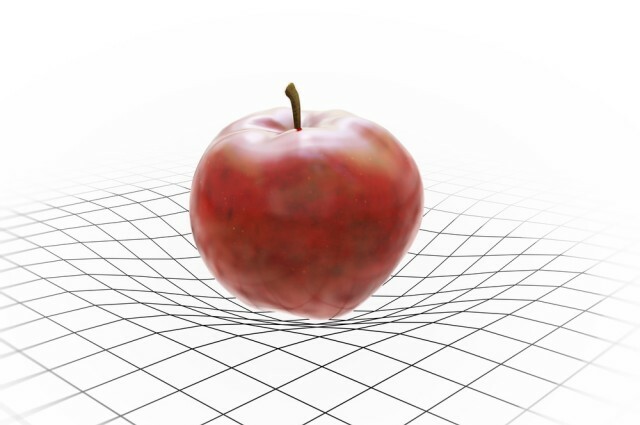 Professor André Füzfa, from the Universitede Namur in Belgium, thinks we have the technology to create and manipulate weak artificial gravitational fields. The claim is bold but grounded. Füzfa has calculated that by using very strong magnets, it’s possible to create tiny distortions in the space-time. Albeit small, the effect should be strong enough to be detectable with current instruments (but would only be relevant for particles). The dream of having artificial gravity on a spaceship is still in the distant future, but being able to produce gravitational fields would turn the study of gravity from a passive to an active science. Our ability to manipulate fundamental forces, especially electromagnetism, has had a huge impact on our way of life, so learning to create small gravitational fields could have long-lasting consequences for our technological development. The theoretical starting point of Füzfa's research is theequivalence principle. The principle states that the force experienced by an observer in a gravitational field (like you on Earth) is equivalent to the force experienced by another observer in a non-inertial field (an astronaut in an accelerated spacecraft). In simple terms, if you were in a room with no windows, you would not be able to say if you were in a gravitational field or the room was accelerating in the direction of the ceiling. The equivalence principle tells us that every mass and every type of energy are affected by and generate gravity, so it should be possible to create gravitational fields using intense magnetic fields. Thus, Füzfa performed detailed calculations solving Einstein’s general relativity equation around a powerful looping electromagnet, and the solution indicates that the effect is small but significant. More importantly, he suggests that an experimental set-up could be carried out with current technologies. Although the envisioned experiment is possible, it would require a significant investment. The magnetic fields need to be generated over many days using layers upon layers ofsuperconductive magnets, as well as sophisticated and sensitive laser systems that can detect the small variation in gravity within the magnets. The paper will definitely challenge people into taking another look at the relationship between electromagnetism and gravity. And while we might not be closer to the gravity machine, we might be getting closer to at least understanding gravity.